You can read more about Lincoln and his political career in Edwin Erie Sparks’ The Lincoln-Douglas Debates of 1858 (1908), David Donald’s Lincoln (1995), and Allen C. Guelzo’s Lincoln and Douglas: The Debates That Defined America (2008). 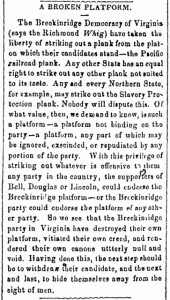 One hundred and fifty years ago today, the Charles Town, Virgina (there wasn’t a West Virginia yet)Free Press commented on reports that the state’s Breckinridge Democrats had abandoned a plank from their “national” party platform by repudiating support for the Pacific Railroad. This one little piece of fewer than 200 words illustrates how complicated the 1860 election was and how challenging it is for students to read nineteenth-century newspapers. The Free Press was a loyal southern rights Democratic paper run by the Gallaher family. 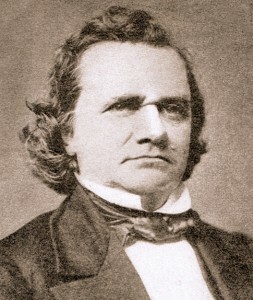 They supported John Breckinridge, the nominee of the Southern Democrats and his new party’s attempts to cultivate western support through actions such as endorsing the Pacific (or transcontinental) Railroad and by anointing Senator Joseph Lane from Oregon as the party’s vice-presidential nominee. Yet the article, entitled “A Broken Platform,” reads like harsh criticism of the decision. 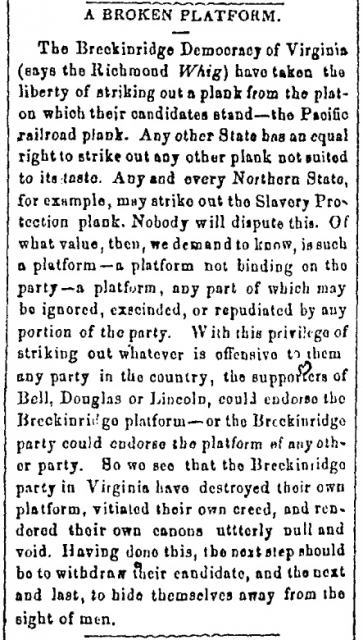 “So we see,” reads the piece, “that the Breckinridge party in Virginia have destroyed their own platform, vitiated their own creed, and rendered their own canons null and void.” However, a careful reader will note that the piece begins with a parenthetical aside “(says the Richmond Whig)” referring to a leading paper in the state capital that supported John Bell and the Constitutional Union Party. Supporters of Breckinridge and Bell vied fiercely across southern states during the 1860 contest and by quoting from the Richmond Whig the Virginia Free Press was being sarcastic. 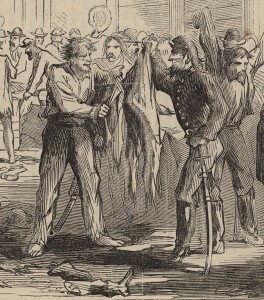 Nineteenth-century readers understood the nuances (or so we imagine) but the finer differences and unique customs of partisan journalism are very difficult to explain to modern-day students. Even though Hinton Rowan Helper published The Impending Crisis of the South: How to Meet It in 1857, the book was still a factor in the election of 1860. While Helper was born in North Carolina to a family that owned more than 200 slaves, he used the Impending Crisis to call for the South to end slavery. That institution, as Helper argued, limited the economic potential of white labor and prevented the South’s economy from developing. In 1859 Helper published the Compendium of the Impending Crisis of the South – a cheaper edition of that reached thousands of readers. By the election of 1860 northern Democratic editors like James Gordon Bennett, who owned the New York Herald, used Helper’s book as evidence that the Republican party was dangerous to the United States. 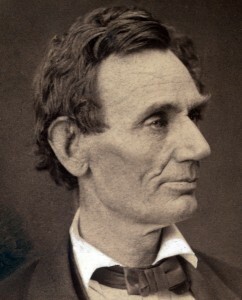 On election day in November 1860 the Herald warned voters that Republicans had “circulated hundreds of thousands of Helper’s handbook of treason.” Prominent Republicans had endorsed the book, which as the Herald explained, were “[distributed] to abolitionize the Northern mind.” If Abraham Lincoln became President, the Herald argued that “one phase of [his] administration [would be] to engender or to inaugurate, if possible, a civil war at the South between the non-slaveholding whites of that section (excited by abolition emissaries) and those who own slaves.” One of the best secondary sources on Helper is David Brown’s Southern Outcast: Hinton Rowan Helper and The Impending Crisis of the South (2006). 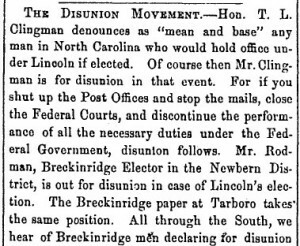 While some southern editors argued before election day in November 1860 that a Republican victory would justify secession, the Fayetteville (NC) Observer was prepared to accept Abraham Lincoln as President. The Observer, which supported Constitutional Union candidates John Bell and Edward Everett, believed that there was no choice but to accept the results of an election that they participated in. If “[it was] decided constitutionally,” the Observer explainedthat “we [were] honor bound to abide its results.” Southerners who threatened to secede only created more problems, particularly those who were not prepared to follow through with their threats. “We have had enough of ultimatum-manufacturing,” as the Observer noted. 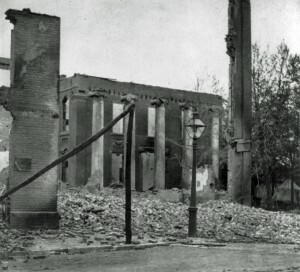 Those southerners had a bad “habit of invariably back out after” issuing ultimatums and, as the Observer argued, the repeated false alarms “[had] made the North believe that the South cannot be kicked out of the Union.” This scenario was dangerous since the Observer, like other unionist papers, did not completely reject secession as an option. If President Lincoln took any action that they considered a threat to slavery, many would support disunion. For the Observer and other ‘conditional’ unionists, the turning point was President Lincoln’s call for volunteers after Confederates attacked Fort Sumter in April 1861. One of the best sources on southern unionists’ perspectives during this period is Daniel W. Crofts’ Reluctant Confederates: Upper South Unionists in the Secession Crisis (1989). 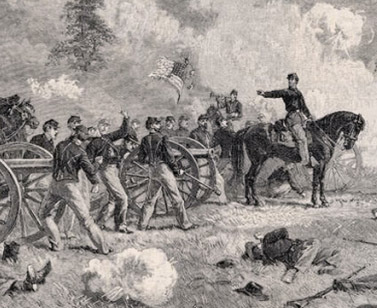 While Crofts discusses the Upper South, Edward Ayers focuses on southern unionists Augusta County, Virginia in In the Presence of Mine Enemies: War in the Heart of America, 1859-1863 (2003). You can learn more about that community online at the Valley of the Shadow project. After what could only be mildly described as a tumultuous decade of failed compromises, the rise of a new political party, and a disgruntled citizenry, the 1860 Election season met with the pronounced fears over the future course of the United States. Partisan newspapers relished the opportunity to hack away at their opponents by castigating their political views and theorizing on pressing social fears within the South. 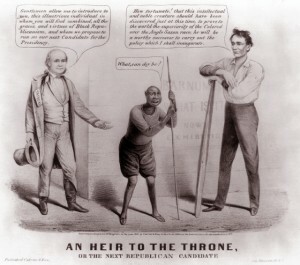 The Chicago Press and Tribune noted that the “slave breeders” of the South feared a Republican party in their midst that could claim Founders as part of its political pedigree. The article also cites an undated piece from the New Orleans Courier which speculated that if Republicans proved victorious in the upcoming election, Southerners would have to openly embrace the patronage positions offered them as members of a new Southern Republican “nucleus.” (Ironically, Lincoln and his cabinet maintained their hope in a latent Southern Unionism in Virginia that would dissuade the Upper South from seceding.) Other fears for the upcoming election literally struck at the belly of the South. Again, the Chicago Press and Tribune stated that a “poor corn-crop” would precede a potential famine in the upcoming year. Instead of stoking this fear in their hearts, Southerners could remain “patriots and good citizens’ by “behaving themselves” in the wake of Abraham Lincoln’s election. However, the Press and Tribune cynically mused that the “dissolution” of the Union would only be averted until the South had a “full crop.” Articles in partisan papers such as the Chicago Press and Tribune reveal the broad spectrum of fears endemic to the United States in the months leading up to the Election of 1860. 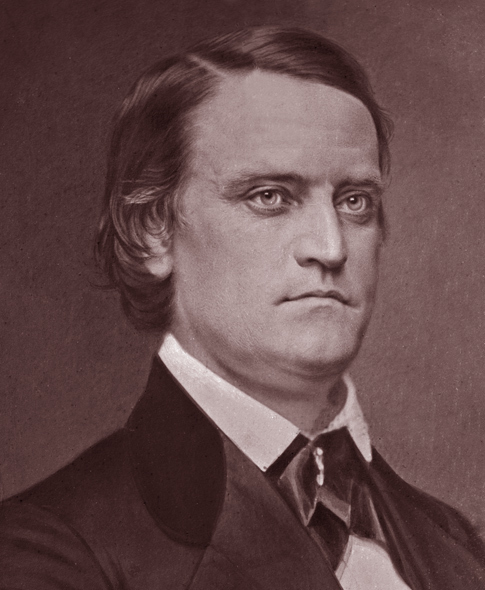 After southern Democratic delegates in Baltimore, Maryland refused to accept Senator Stephen Douglas as a candidate for the election of 1860, they nominated Vice President John C. Breckinridge on June 23, 1860. Soon after Breckinridge’s campaign biography was published, which one can read online at archive.org. Some editors saw Breckinridge’s campaign and, in particular his supporters, as a serious threat to the Union. The Lowell (MA) Citizen & News, which supported the Republican party, warned that the group’s ultimate goal was secession. “There [were] many prominent southern supporters of Breckinridge and Lane who go for that ticket …[because it] will be most likely to achieve…a dissolution of the Union,” the Citizen & News argued. Southern newspapers like the Charlestown (VA) Free Press, which supported the Constitutional Union party, reached a similar conclusion. “No sane man can doubt that a dissolution of the Union is the ultimate object of the Seceders who put up Breckinridge and Lane as their leaders,” as the Free Press concluded. Editors who backed other candidates wanted Breckinridge to explain what actions he would recommend in the event of a Republican victory in November 1860. After a speech in Lexington, Kentucky, the Richmond (VA) Whig noted that “[Breckinridge] did not say, nor did he dare say, what course he would advise the Seceding and Disunion party…to take in case a Black Republican President” win the election. The (Jackson) Mississippian, however, used the same speech to reach the opposite conclusion. “It [was] a great speech, perfectly overwhelming in its refutation of the charges…of ‘disunion,’” as the Mississippian explained. 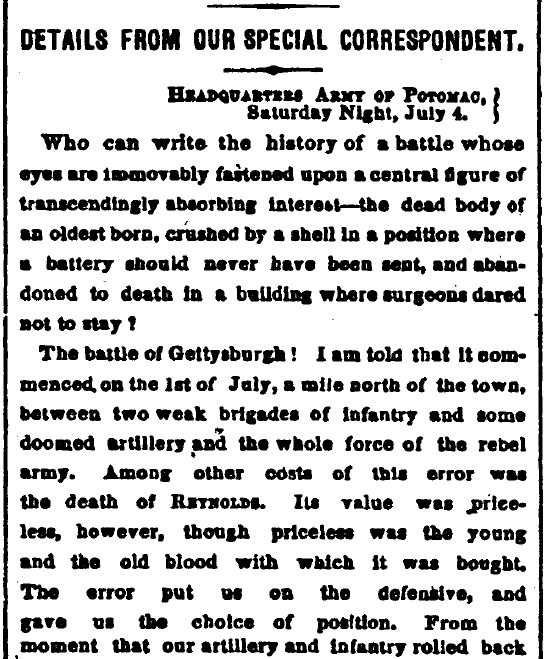 (The full text of Breckinridge’s speech is available in an articled published on the New York Times’ website). 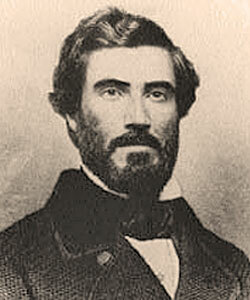 Breckinridge, as the Mississippian argued, “had always been the able and faithful champion of ‘the Union, the Constitution, and the equality of the States.’” Breckinridge attempted to bridge the sectional divide after Lincoln’s victory in November 1860, but twelve months after the election he joined the Confederate army as a brigadier general.